The first option for calculating the Home Office Deduction is the Regular Method. This method requires computing the business use of the home by dividing the expenses of operating the home between personal and business use. Direct business expenses are fully deductible and the percentage of the home floor space used exclusively for business is assignable to indirect total expenses. Self-employed taxpayers file Form 1040, Schedule C, Profit or Loss From Business (Sole Proprietorship), and compute this deduction on Form 8829, Expenses for Business Use of Your Home. The second option, the Simplified Method, reduces the paperwork and recordkeeping burden for small businesses. The simplified method has a prescribed rate of $5 a square foot for business use of the home. There is a maximum allowable deduction available based on up to 300 square feet. Choosing this option requires taxpayers to complete a short worksheet in the tax instructions and entering the result on the tax return. There is a special calculation for daycare providers. Self-employed individuals claim the home office deduction on Form 1040, Schedule C, Line 30; farmers claim it on Schedule F, Line 32 and eligible employees claim it on Schedule A, Line 21. Regardless of the method used to compute the deduction, business expenses exceeding the gross income limitation are not deductible. 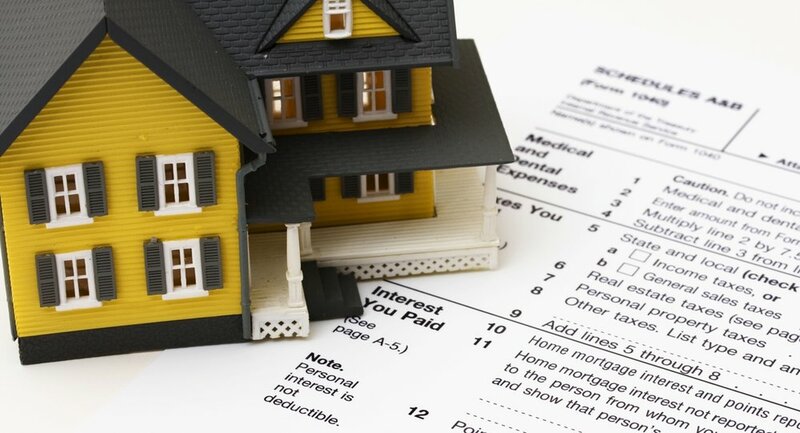 Deductible expenses for business use of a home include the business portion of real estate taxes, mortgage interest, rent, casualty losses, utilities, insurance, depreciation, maintenance and repairs. In general, expenses for the parts of the home not used for business are not deductible. William D. Truax, E.A. and his friendly team of licensed tax preparers have been helping small business owners and entrepreneurs with their tax returns for over 30 years. He is licensed to represent taxpayers before the IRS and is also a member of the Bar of the United States Tax Court. If you need assistance or have questions about the Home Office Deduction, please contact us today for a FREE consultation. We’re here to help! What Is Estimated Tax & Who Is Required to Pay?